Norelli Law was one of three firms recognized for its pro bono advocacy, as the firm received the" Outstanding Firm Service Award" for its generous work with Legal Services of Southern Piedmont. The award recognizes law firms whose longtime partnerships and creative contributions have increased access to justice to the number of local individuals, families, and children in need. Nancy Black Norelli, founder and partner of Norelli Law and former District and Emergency Court Judge, accepted the award on the firm's behalf. Norelli, an active pro bono attorney with more than 30 years of distinguished legal experience, is also a member of the State Bar Council, the Equal Access to Justice Commission, and the Legal Services of Southern Piedmont Board of Directors. 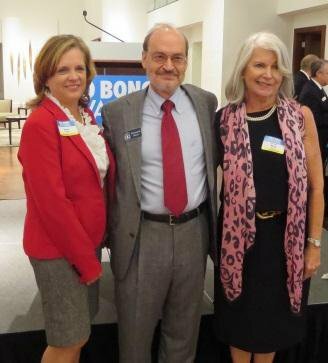 Legal Services of Southern Piedmont Executive Director Kenneth L. Schorr presented the award to Norelli and said, "Norelli Law is a small law firm that has a large passion for public service and pro bono work. The firm handles a wide range of pro bono cases such as consumer cases for elderly clients, veterans, disability, family law, estate planning matters including a number of estate planning cases for terminally ill cancer patients that require very quick work. A highly productive and versatile firm for pro bono service." Schorr went on to describe Norelli as "dynamic, intelligent, activist, positive, creative, and generous". A special presentation was made by Charlotte Mayor Daniel Clodfelter to honor former Chief Justice Sarah Parker's commitment to access to justice in North Carolina. More than 250 attorneys, judges, advocates and community members attended the event.